As outdoor temperatures drop, mice and rodents may be tempted to make their nests inside your home. 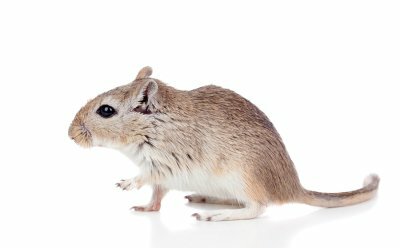 To make sure that you are not faced with a serious rodent removal problem in the coming months, you may want to work with a mouse exterminator in Crystal Lake to determine some appropriate rodent exclusion methods for your property. When you take the time to make your house less appealing to mice and rodents, you can prevent these nasty critters from invading your indoor spaces. Here are some tips for making your home unattractive to mice. Mice and other rodents often enter a home in the search of an easy meal. When you leave crumbs on the counter and unsealed packages in your pantry, you will be creating an open invitation for rodents to have a feast in your kitchen. Along with removing and sealing obvious food sources, you will also want to manage other areas, such as your trash can. Placing a heavy lid on your trash can keep rodents away. There are several ways that mice can enter your home. In order to make your home less attractive to mice, you will want to seal off any entry points that could potentially be used by rodents. Fixing broken screens, repairing tiny cracks in the siding, and blocking attic vents are all great ways to keep mice out of your house. An exterminator can identify and eliminate any possible entrances that mice may find to your indoor spaces. The landscaping around your property can also make your house more inviting to a colony of mice. When you have overgrown bushes or very tall trees, mice may use these plants as hiding places. Shrubs and trees alongside your windows and roof may also help mice gain access to the interior of your home. Taking the time to trim back your landscaping is an effective strategy for controlling mice around your property.